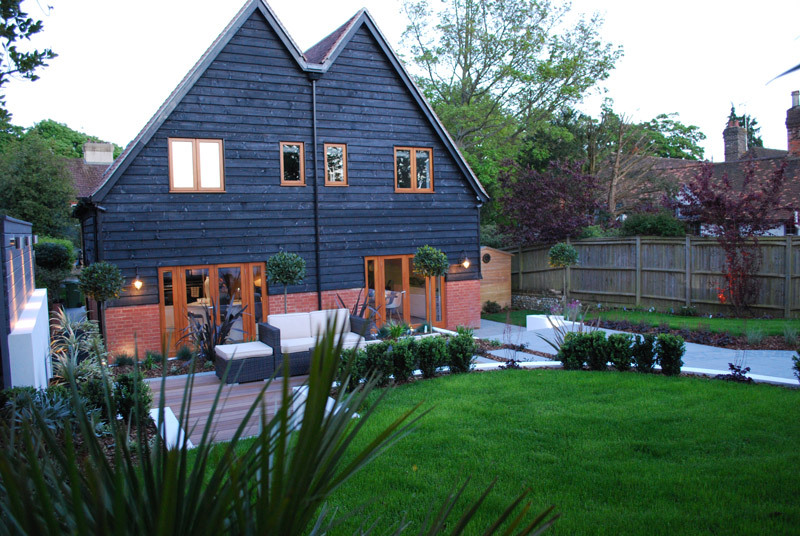 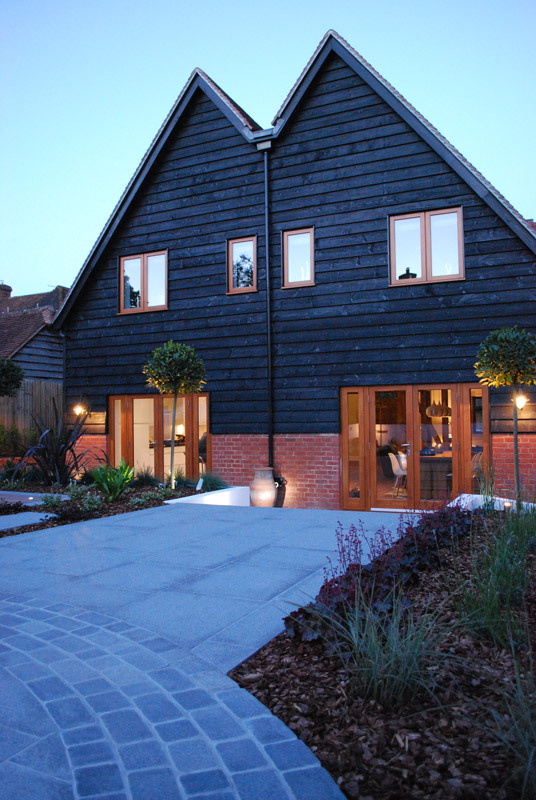 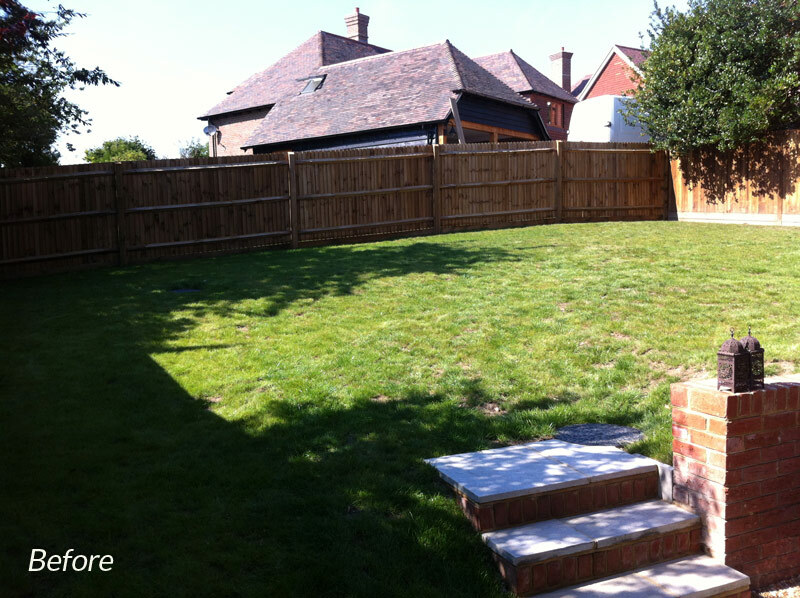 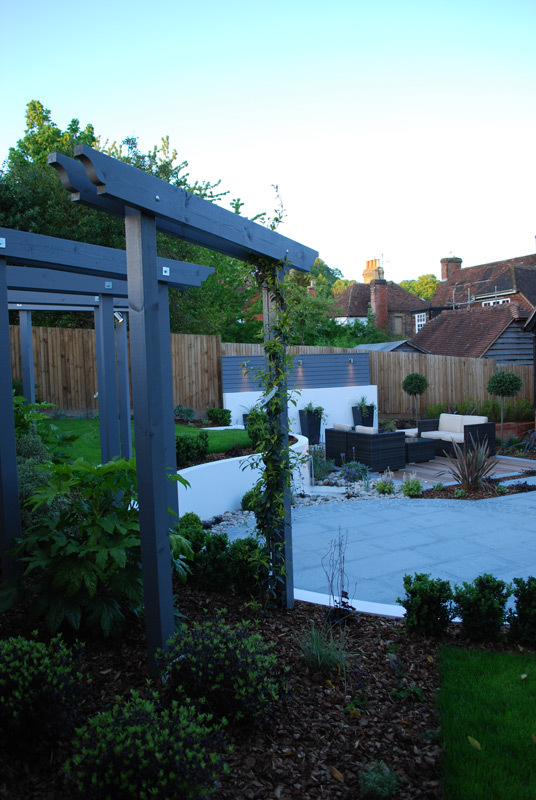 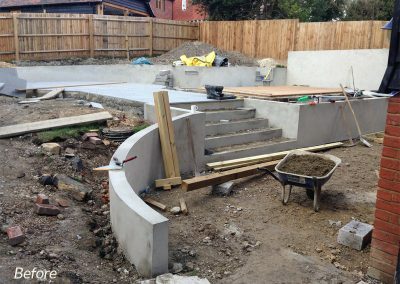 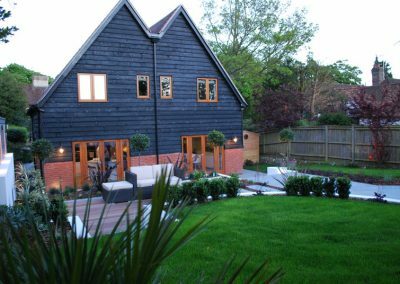 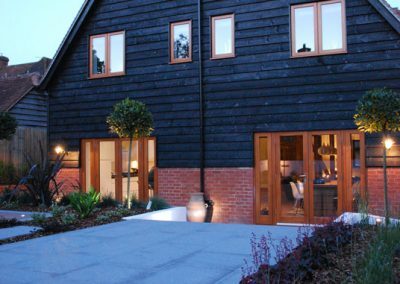 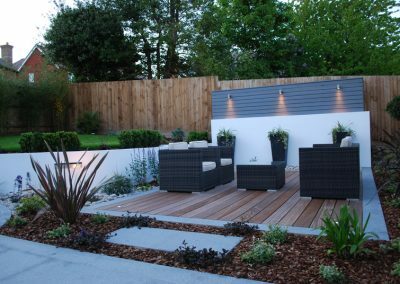 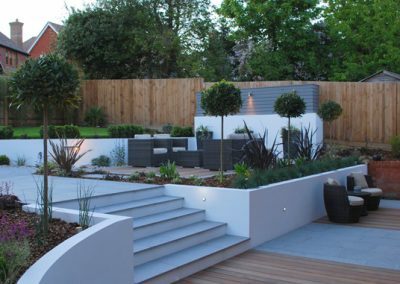 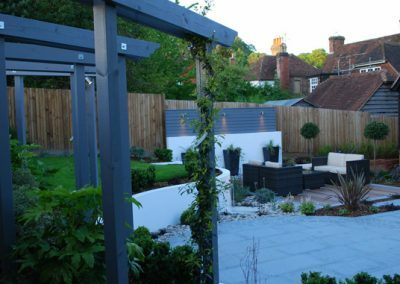 As you will see from the before images within this gallery , this garden in Kent was originally just a grassed slope with a brick retaining wall. 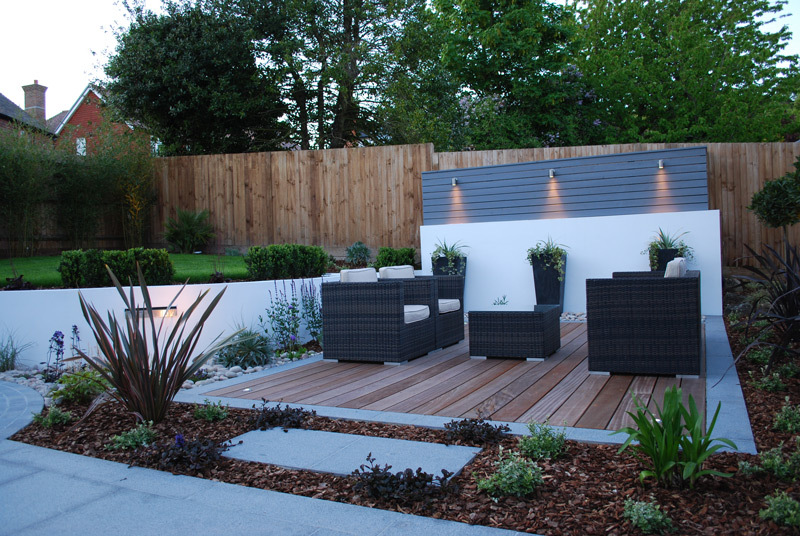 My brief was to create a modern space with seating areas that took full advantage of the sun. 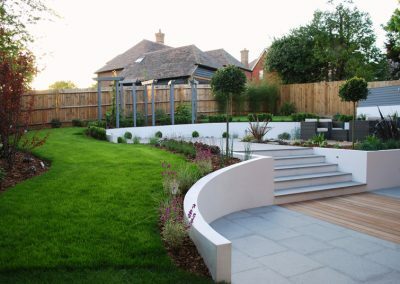 After taking the garden levels I could see that there was an opportunity to create something altogether more interesting. 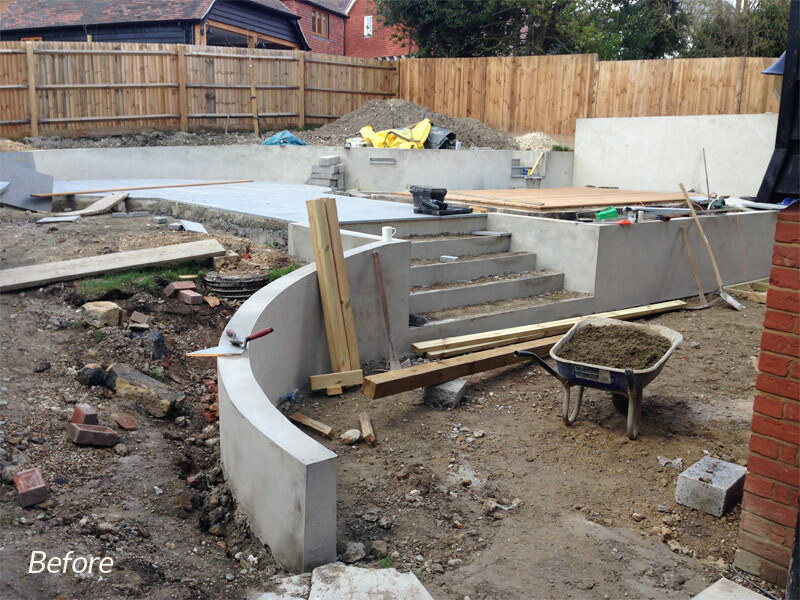 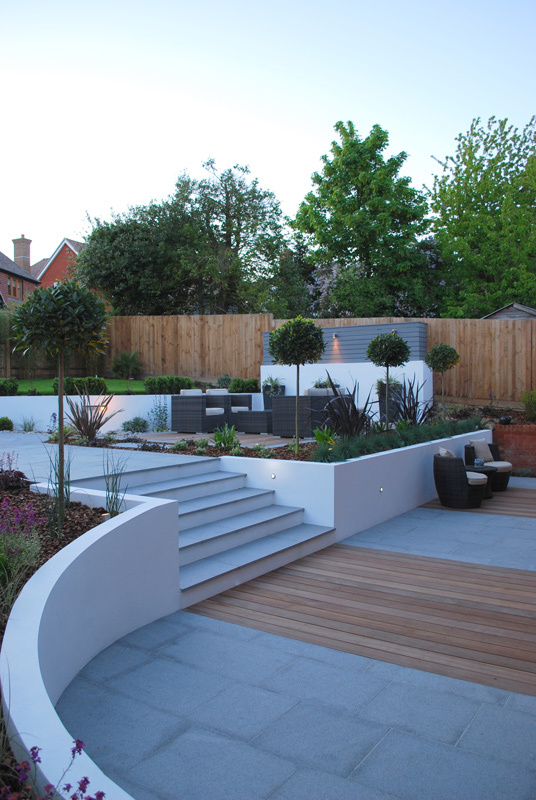 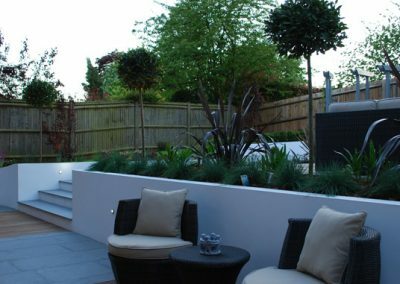 I cut into the sloping land and created a mid garden entertaining space comprising of a dining and sofa area. 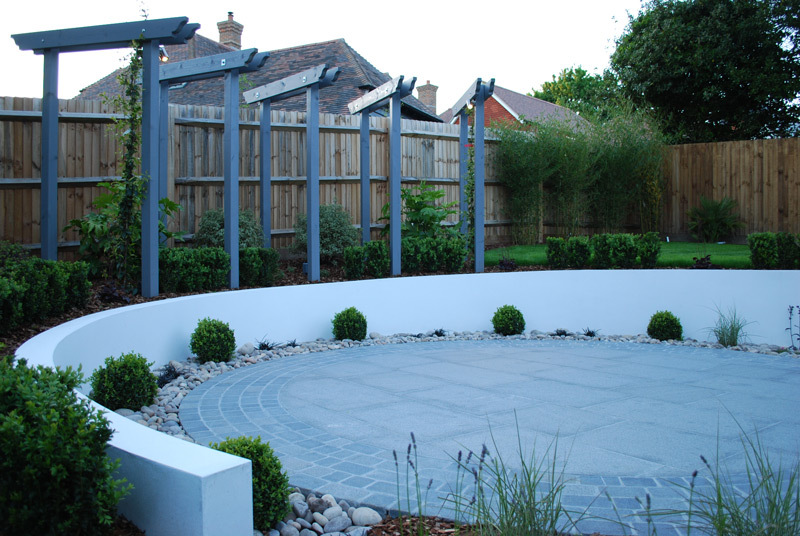 A curved rendered wall graduating in height retained the wrap around lawn area. 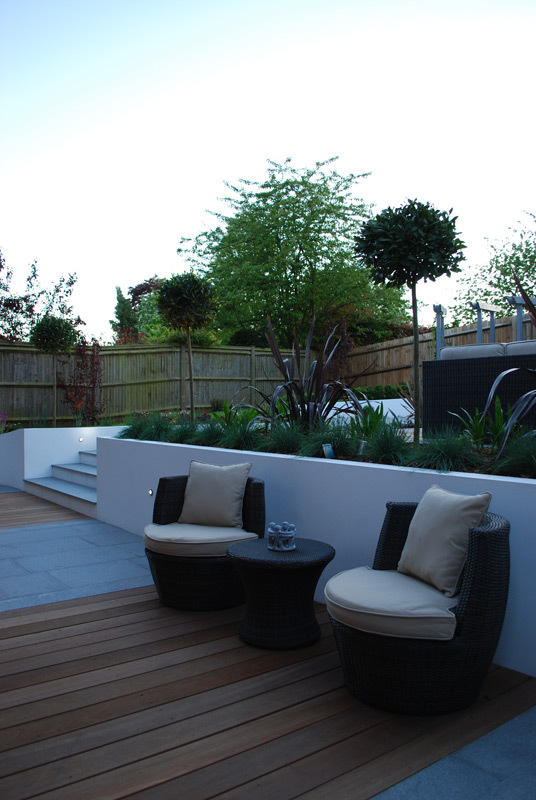 Granite paving mixed with a hardwood deck areas helped to create interest and continuity throughout lower and mid level areas. 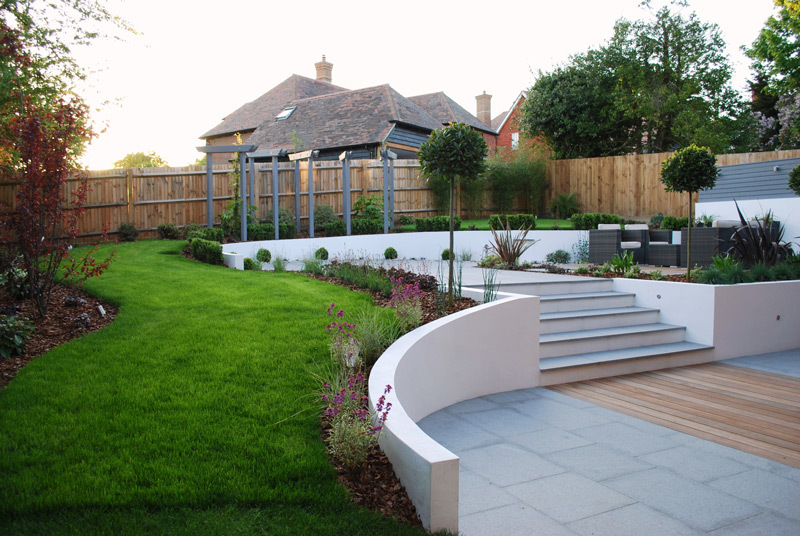 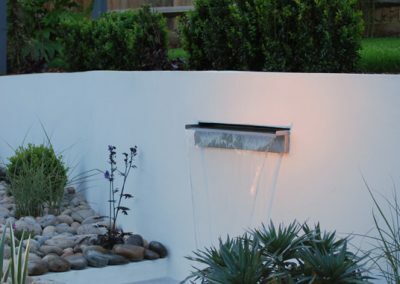 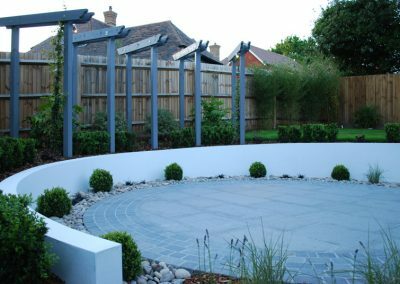 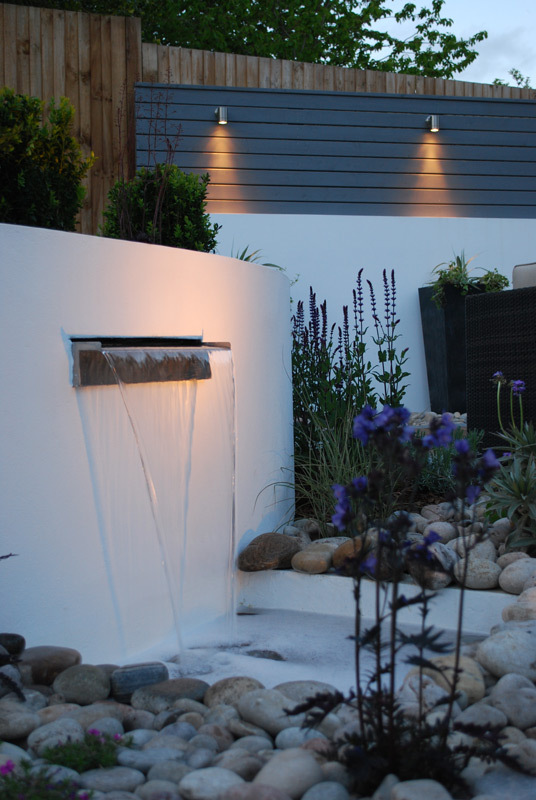 A stainless Steel water fall was installed through the curved rendered wall which added a nice finishing touch to the garden. 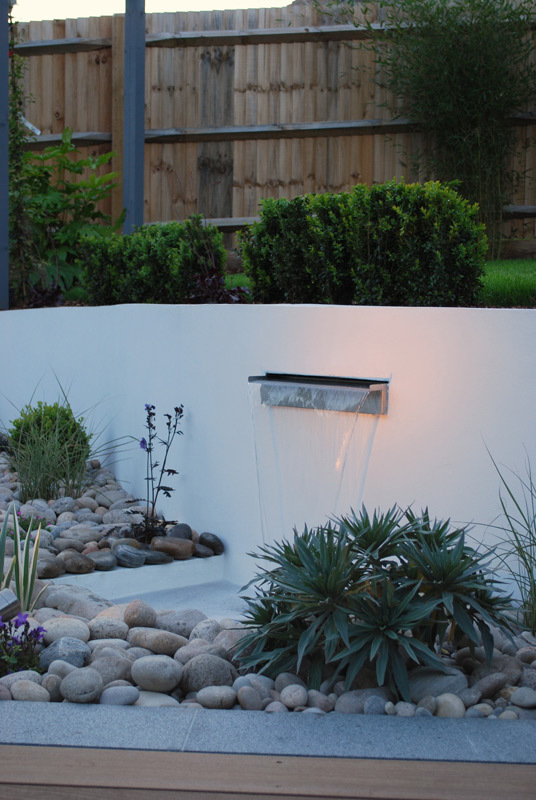 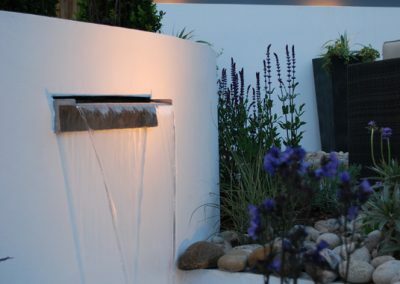 A low maintenance planting scheme was illuminated with lighting throughout.